Today on 22 May, 2014 I Bought 325 shares of ARCP at $12.33 per share plus commission. 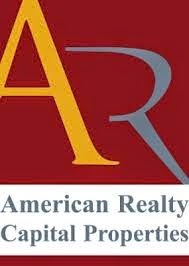 American Realty Capital Properties, Inc., incorporated on December 2, 2010, is a real estate investment trust (REIT). The Company owns and acquires single-tenant, freestanding commercial real estate primarily subject to medium-term net leases with credit quality tenants. The Company is externally managed by ARC Properties Advisors, LLC. In February 2013, it announced the closing of the transaction to acquire American Realty Capital Trust III, Inc. In March 2013, it announced that it purchased a TD Bank office building in Falmouth, Maine. In April 2013, it closed lease acquisitions, including nine properties located in four states plus Puerto Rico with approximately 200,000 total rentable square feet. In May 2014, the Company acquired Cole Credit Property Trust Inc.
As of December 31, 2012, rental revenues derived from investment grade tenants. As of December 31, 2012, the Company owned 146 properties, which consists of 2.4 million square feet and located in 26 states, excluding one vacant property classified as held for sale. The Company is holder of 95.9% of the interest in the ARC Properties Operating Partnership, L.P.
Tupperware Brands Corporation is listed on the New York stock exchange (NYSE) with ticker TUP. Tupperware Brands Corporation operates as a direct-to-consumer marketer of various products across a range of brands and categories worldwide. The company is engaged in the manufacture and sale of preparation, storage, and serving solutions for the kitchen and home, as well as a line of cookware, knives, microwave products, microfiber textiles, water related items, and toys and gifts under the Tupperware brand. 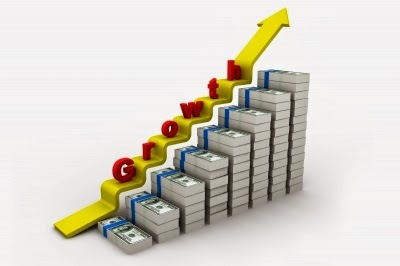 It also manufactures and distributes beauty and personal care products, including skin care products, cosmetics, bath and body care, toiletries, fragrances, jewelry, and nutritional products under the Armand Dupree, Avroy Shlain, BeautiControl, Fuller, NaturCare, Nutrimetics, and Nuvo brands. Tupperware Brands Corporation sells its products directly to distributors, directors, managers, and dealers. The company was formerly known as Tupperware Corporation and changed its name to Tupperware Brands Corporation in December 2005. Tupperware Brands Corporation was founded in 1996 and is headquartered in Orlando, Florida. The Board of Directors of Chevron Corporation (NYSE: CVX) April 30, 2014 declared a quarterly dividend of one dollar and seven cents (USD 1.07) per share, payable June 10, 2014, to holders of common stock as shown on the transfer records of the Corporation at the close of business on May 19, 2014. Since I own 60 shares, this will increase my yearly dividends by USD 16.80 (~12.20€).